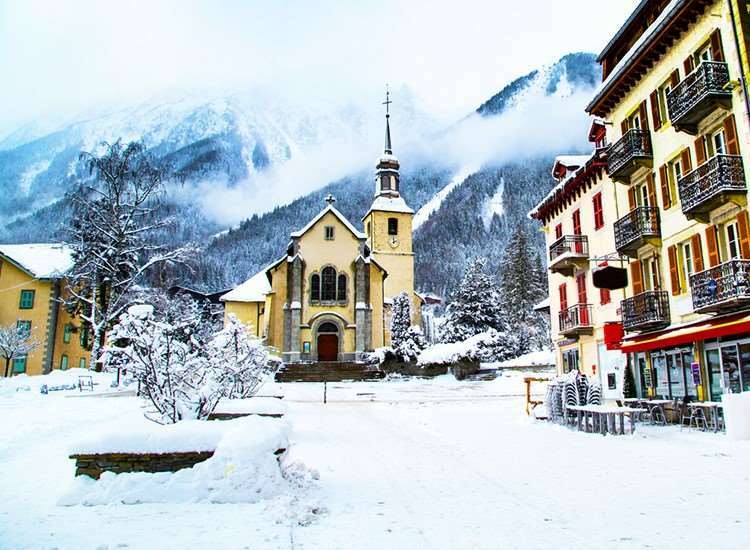 Chamonix: Residence "l'Armancette", 4 storeys. 100 m from the centre. In the house: lift. Shop 50 m, grocery 100 m, restaurant 20 m, bus stop 450 m. Golf course 3 km, sports centre 1 km, skisport facilities 700 m, cross country ski track 1 km. 1-room apartment 31 m2 on 2nd floor: living/dining room with 1 double sofabed and TV. Exit to the balcony. Alcove with curtain with 1 x 2 bunk beds. Exit to the balcony. Kitchenette (4 hot plates, oven, dishwasher). Bath/WC. Electric heating. View of the mountains and the river. Please note: TV only FR.